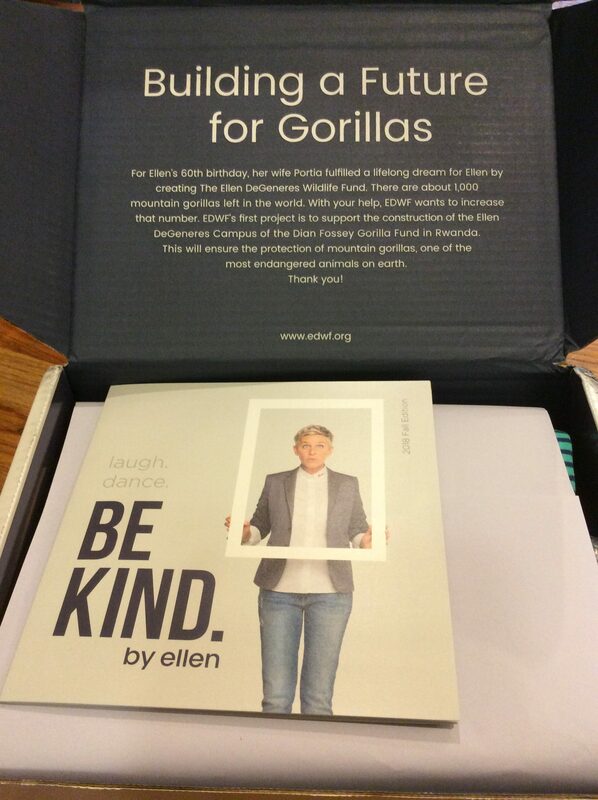 If our subscription box community does not scare Ellen off, BE KIND by Ellen Box will be an actual subscription box! Lower any and all pitchforks! 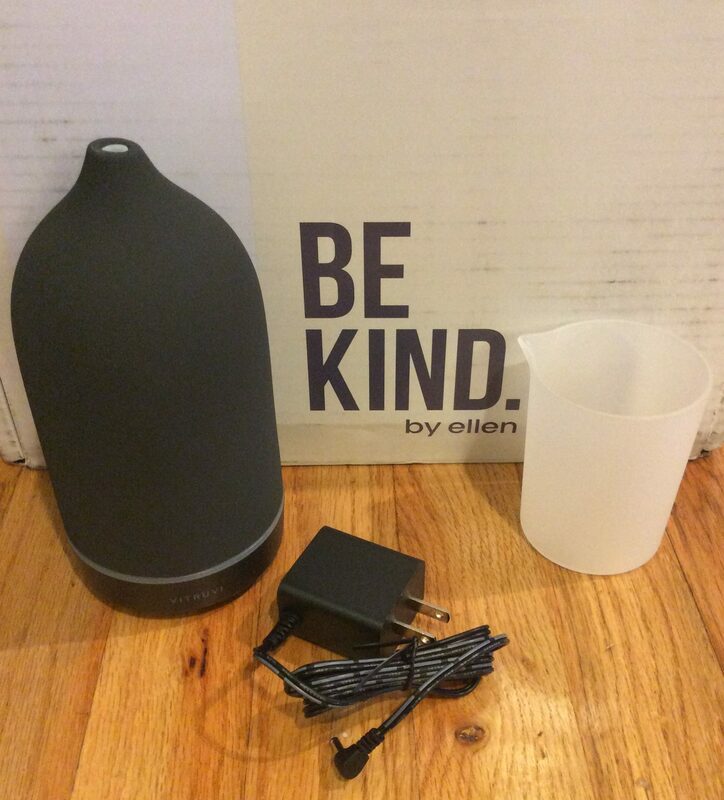 BE KIND by Ellen Box sold out within 2 days. 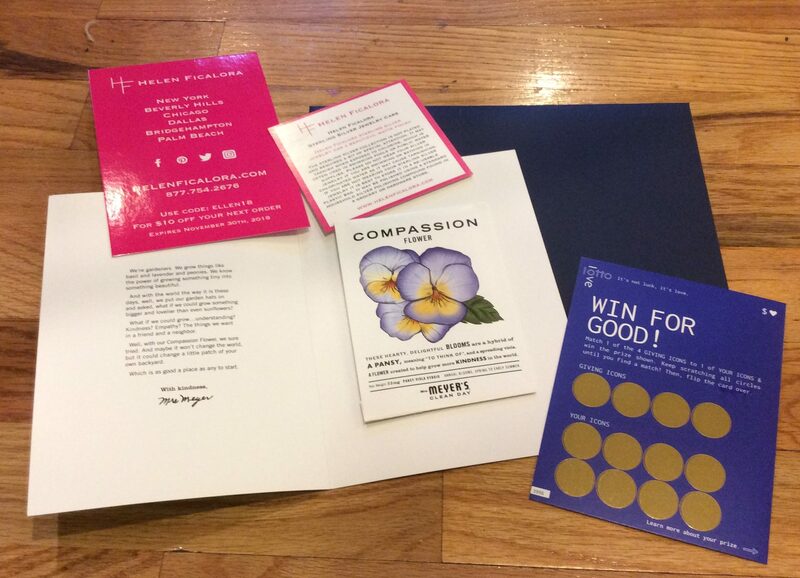 Marketing Department Take Notice: If Ellen did her next BE KIND by Ellen Box that had at least one box having a “Golden Ticket” to Ellen’s 12 Days of Giveaways I am sure they could sell out within an hour! 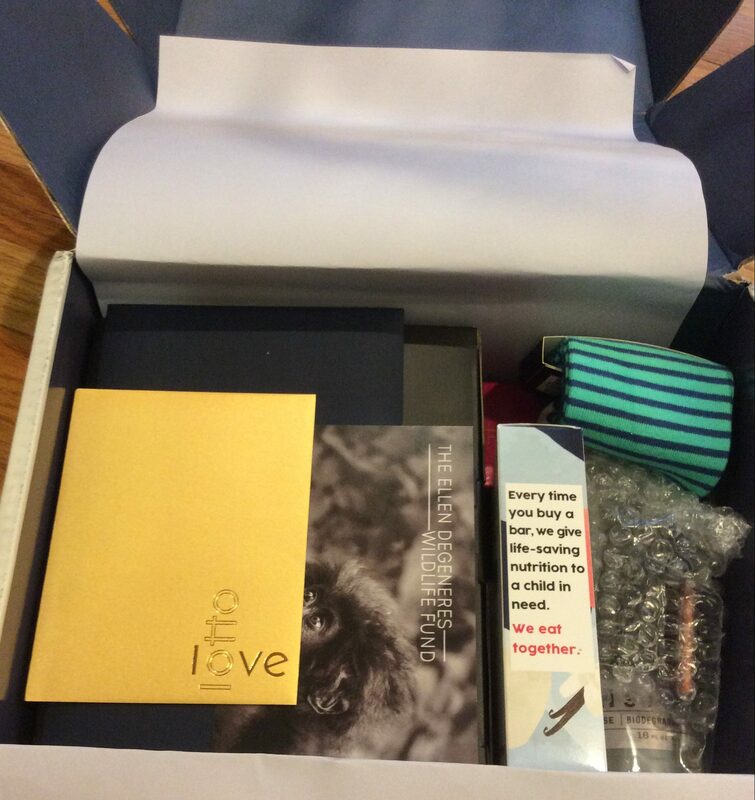 This box could just be all ED BY ELLEN themed (or even Ellen Shop Underwear) it will still sell like hotcakes. Hello all! Your Pnut is back from maternity leave (I think), because I have been in a blogging after midnight kinda mood! Stay tuned for more reviews and randomness from yours truly. Nom. This looks like a birdseed stick that you obviously feed to the birds. But I ate it and I do not think it was birdseed. Well maybe it was nommy birdseed. 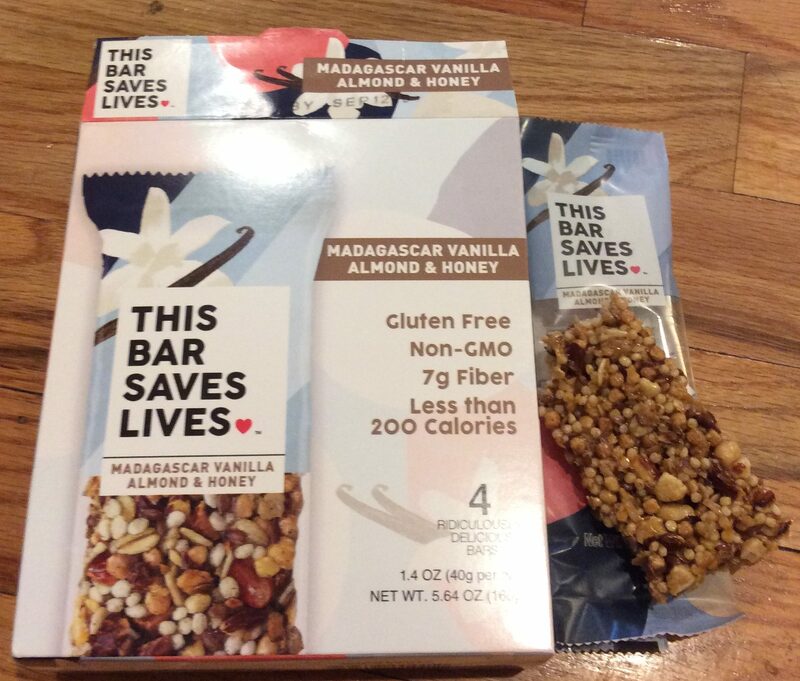 I want to sacrifice a bar to test my birdseed theory but I don’t want to lose a good nom. And now. The HERO item! This is luxe. But high maintenance. I can see that stone already getting oil marks and/or Squeaker marks within the 24 hours I have it out. I already had a Squeaker knock it over (it shuts off thankfully). For the price, I would have expected that it would hold more water. I do like the 30 second interval option that does make it unique to most conventional diffusers. It is very fancy and it makes my other diffusers blush and jelly at it fanciness. 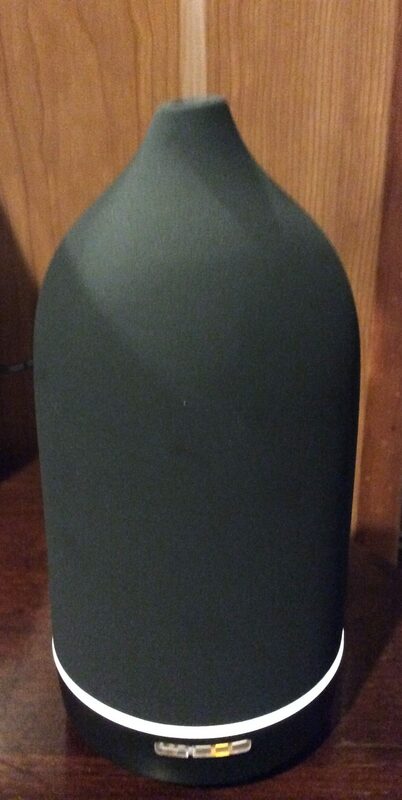 I am enjoying this high maintenance toddler of a diffuser. Like a toddler, it easily gets mussed up and cleaning only solves the issue for 5 minutes. Squeakette (one of my assistant Squeakers) knows I have too many Lavender Essential Oil bottles and she may be right. 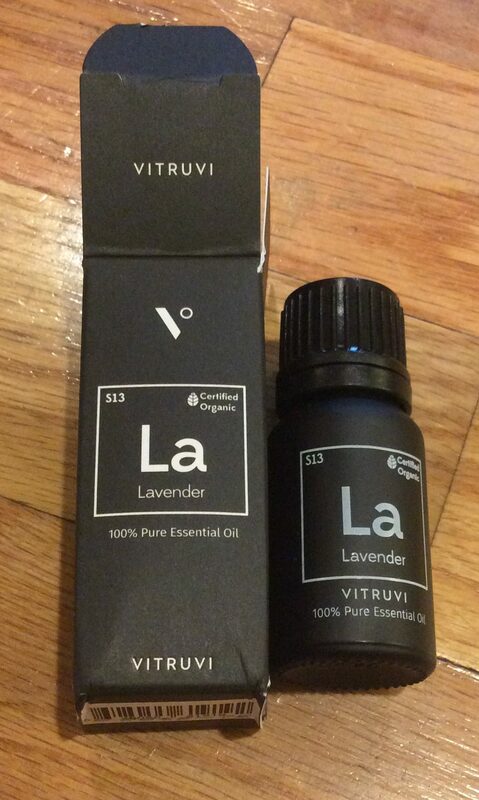 So I am going to gift this Vitruvi Organic Lavender Essential Oil to one of my daughter’s teachers who uses Lavender Oil in her classroom diffuser. And I will be the hero teacher gifter. The parent who gifts the “fancy lavender essential oil”. 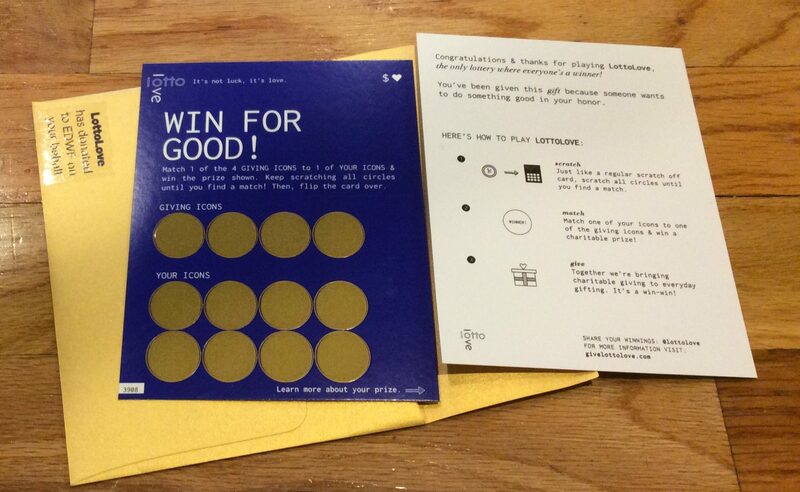 One less thing to order from Grove Collaborative. See my all Grove Collaborative Subscription Box orders and my loyal assistant Squeakette grow from infant to preschooler here. Early bird gets a tutu and a subscription box. 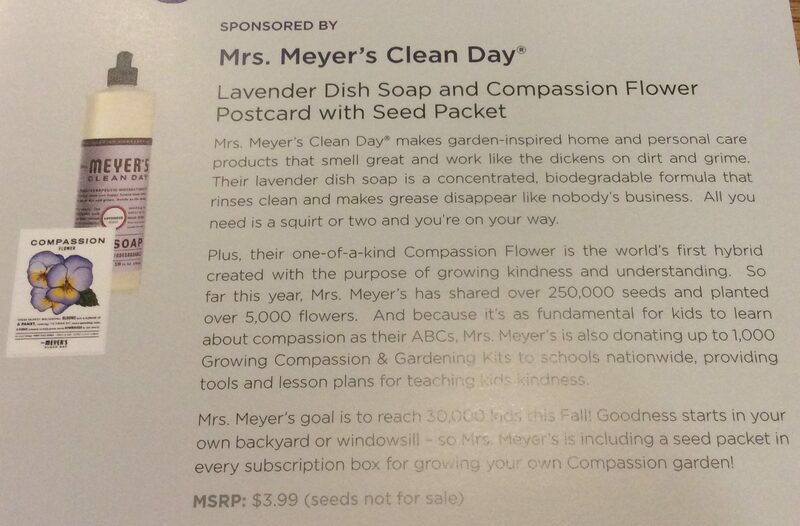 We love Mrs. Meyer’s Clean Day Lavender Dish Soap in this house. I keep using all these subscription wildflower seed packets and/or bombs in a section of my garden plot and I get NADA. Actually, I get the local unwanted perennial garden weeds. Grrr…. I will still try it though but after buying a fairy garden and edible flower packs with the same result as the subscription box goodies, I might end up just buying perennial plants next year. I digress. I got two of these from two different envelopes. Double two happy gorillas saved by a Squeaker with help from Ellen. As you can see, I called over my eldest Squeaker, Pipsqueak, to assist. 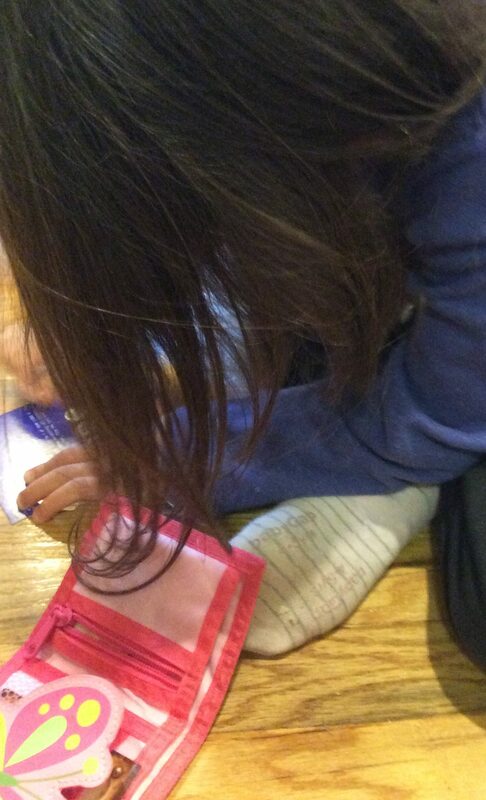 Note her wallet which actually came in a subscription box! 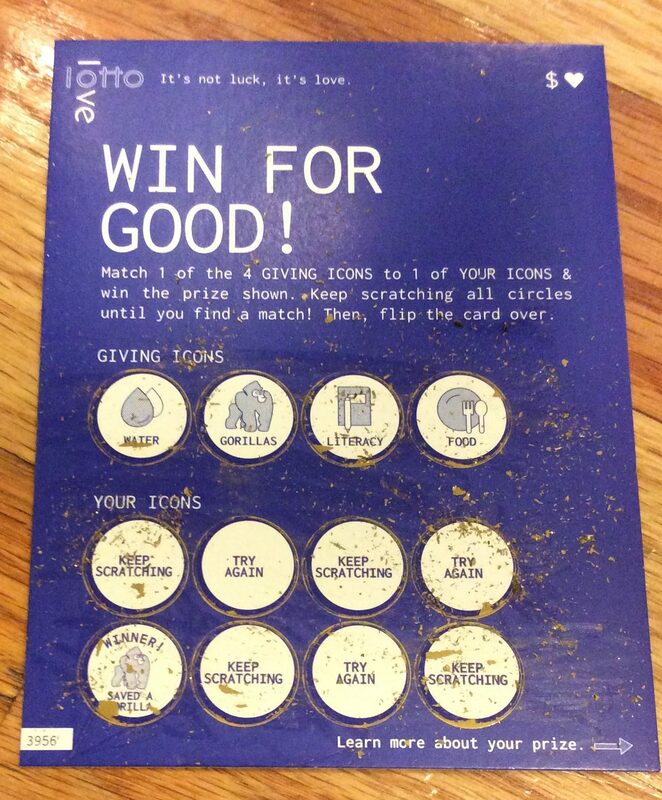 I want to make my own scratch off cards. It will be cute. But before I purchase more Pinterest materials I need to actually use them. Like to make microwave Mochi. And painting pet rocks. And make jewelry again…. For me to channel my inner Mrs. Onderria, one of my Subscriptionista sistas. Can we request Ellen underwear for a future box? Like sleeping boxers so it won’t be weird. I mean it won’t be weird for those who do not watch Ellen. 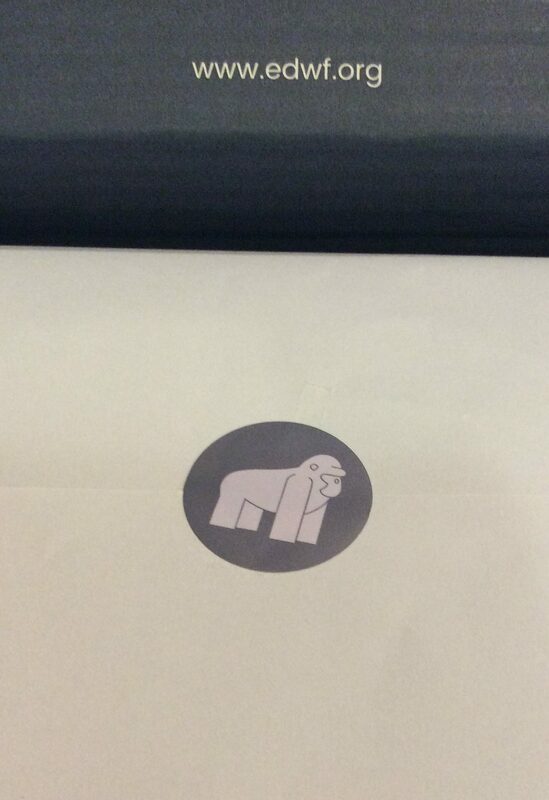 Is receiving boxers in a subscription box weird? Maybe but I am weird. And I just realized there is no underwear subscription box with a boxer option. So I am weird. But you already knew that. For me to channel my inner Liz Lemon. Can we give a “YES THANK YOU ELLEN” for solid Sterling Silver!?! 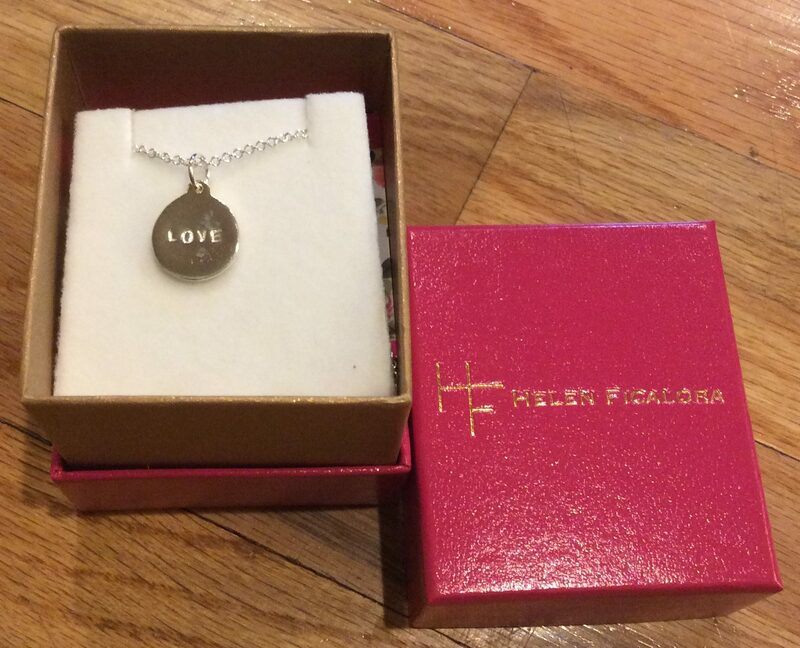 And from an awesome brand Helen Ficalora!?! 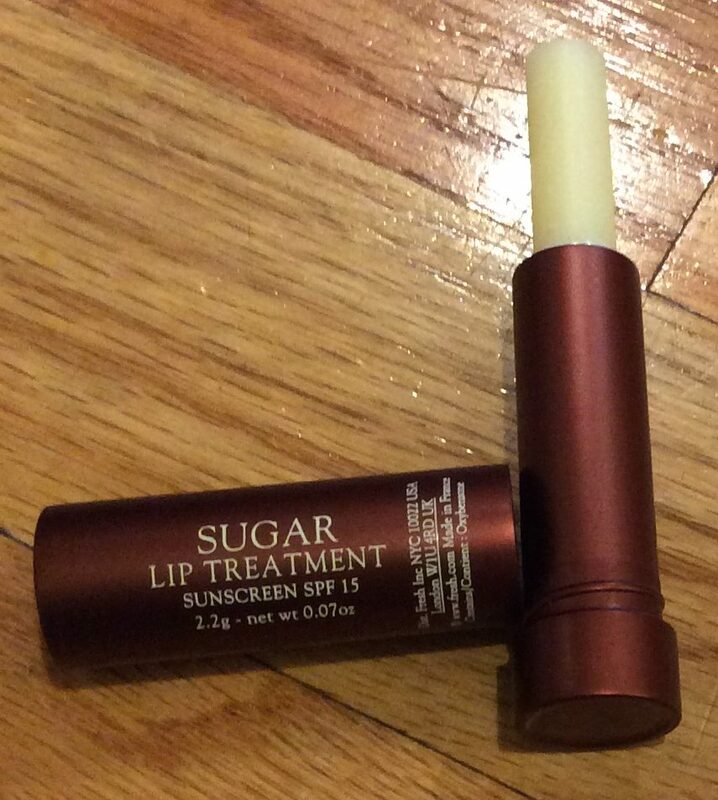 If you have ever gotten a Sephora Sun Kit, here is another Fresh Sugar Lip Treatment in the same deluxe sample size. For those not familiar with this cult item, Fresh Sugar Lip Treatment is not a sugar scrub treatment. Fresh Sugar Lip Treatment is just a clear moisturizing lippy with sunscreen. I never go by one year without receiving at least one Fresh Sugar Lip Treatment deluxe sample. I loved the inagural BE KIND by Ellen Box. Great price point. Great curation. I want to see this turn into an actual subscription box. 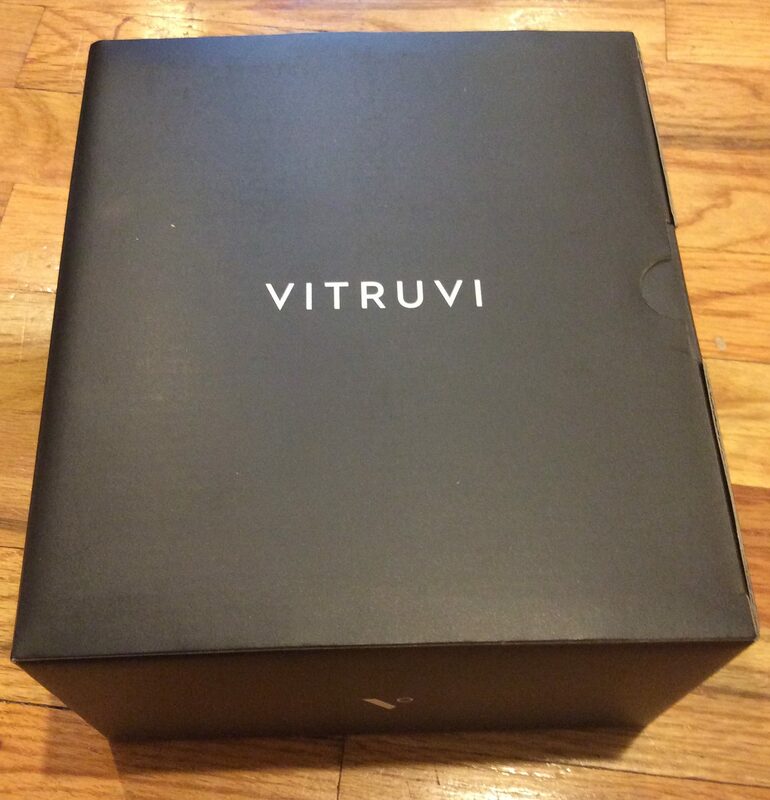 A new subscription box that has a Black Friday code wouldn’t hurt either. Hint. Hint. 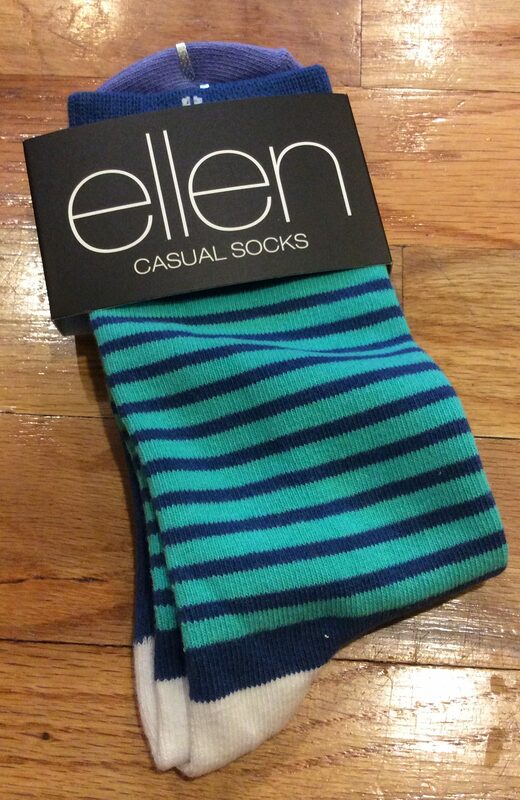 In any event, I feel that Ellen did not curate this box. And that is not a bad thing (or a good thing). That lovely lady is way too busy but she has wonderful people working for her to curate a great box. But I am pretty sure that Ellen mentioned that she likes lavender. And then there were lavender products. 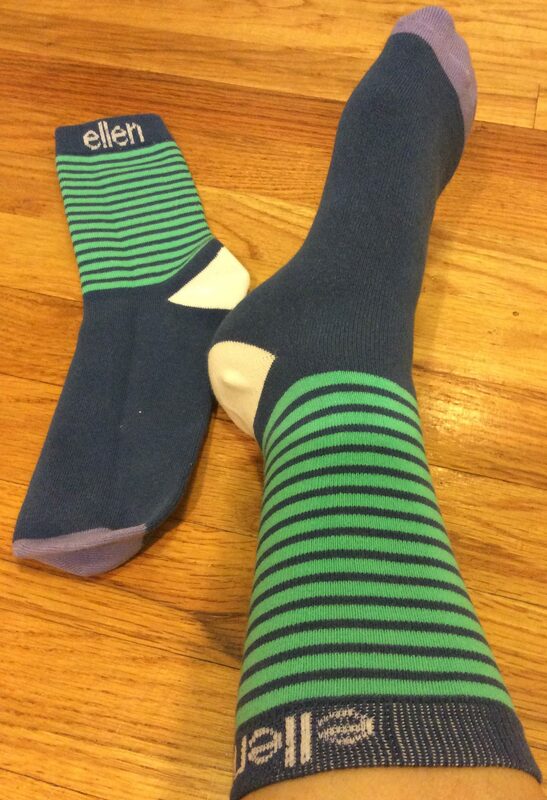 For example, Ellen’s unboxing video did not look like she knew what she was unboxing and she left out the socks (like I did here in the group shot I forgot they were on ma feet). It was a good and funny video though. Again Ellen has wonderful people working under her. When they did close ups of the items they switched out Ellen’s hands and used a bejeweled hand model to showcase the item in a “late night network shopping style”. You can never have too much bling. Says all my girl Squeakers. However, thank goodness her Ellen’s curators as they did not socialize with her next door neighbor’s curators regarding curation. I love Oprah but Oprah’s Circle of Friends had my pitchfork held up high to the heavens. RIP Randomly (I meant Quarterly). 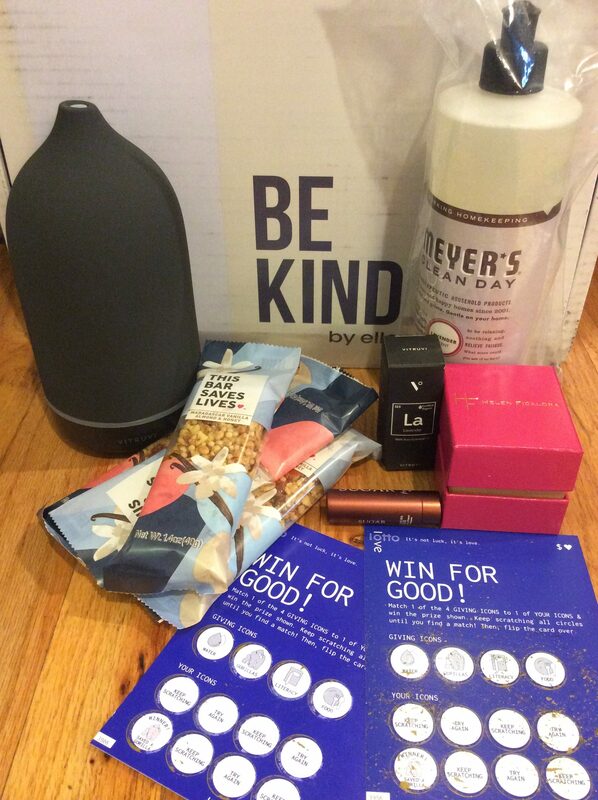 Did you get an BE KIND by Ellen Box? Share anything on your mind no matter how random below! I bought BE KIND by Ellen Box whilst being kind and used my own clams. I didn’t have fomo until your review, but now I kinda do but only for the diffuser and oil. Hah, but I hope this turns into a box! It’s good. Yes. I was thinking this could be my new PopSugar… I am not into receiving jewelry in subscription boxes but to receive anything solid sterling silver is amazeballs. I got this box. I love it. I was shocked when I was on a different site reading comments. People were so mad that they couldn’t get a refund because they didn’t like the items. The website said “no refunds” plain as day. But I kept my mouth shut and didn’t point that out. Last time I posted on the Little Lace Box situation that both my mom and I received refunds, someone called me a troll!!! I didn’t know if I was mad or if my feelings were hurt. Anyway, I’ve worn the necklace everyday this week. 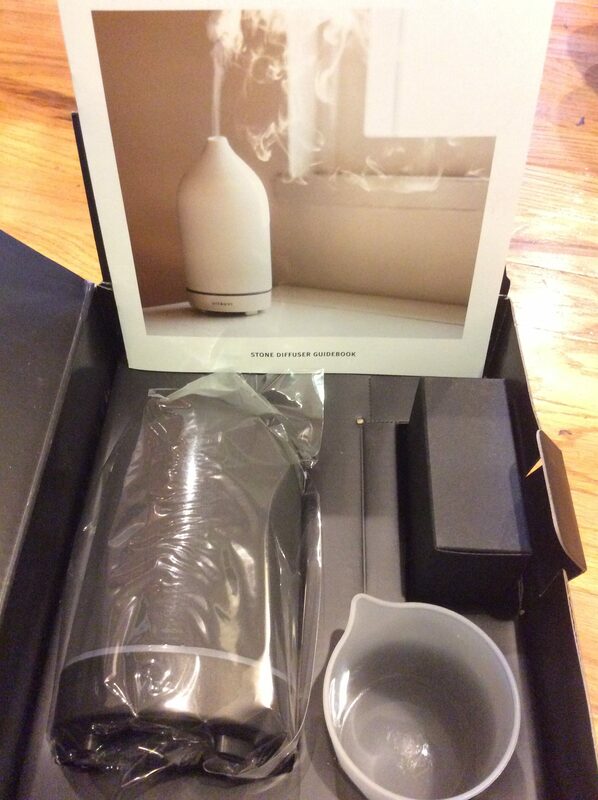 Excited to try the diffuser. Looking into oils to diffuse for allergies and am going to try that. Hope you and all your squeakies are doing great. And Hi Onderria!! The only thing that miffed me was that it was supposed to be a spoiler-free box but the next day there was full spoilers. I am sure that Ellen heard the villagers so if there is a next time there will be full spoilers (or at least one spoiler). RIP Little Lace Box. Such great curation but horrible customer service and ethics. I did that upfront was it 3 month deal? I got my last month (the one that no one got) back BUT not before LLL contested it. Apparently LLL had 30 days to write up a rebuttal and they failed to do that so in the end I got the contested amount refunded. I always and still am a lurker until I found Subscriptionista unleashed my wit and I really like the support of this community 🙂 I don’t think what you did was trollish and I really think when people do tell their stories, we can all piece together how to handle the situation (or at least see how the other side handled the situation). That diffuser is lovely but like I said it’s too high maintenance especially with the stone covering and small basin size. But it is lovely and handsome. I do not know of any oils that are for allergies I have been using an knock-off Theives/OnGuard blend that my sister in law suggested for germ season. PNUT! look at what I came across today!! You are spot on about the fingerprints and some of the water tank! I got two though and kept them both! Oh Dayle even though two of them sound luxurious! I got one for my bedroom, one for the living room. I didn’t think the lavender EO was amazing. Right now I like Aura Cacia Grey Matter Batter for the living room and crank it up when my daughter is studying. LOL, cus she needs it! I love the necklace and kept one but I am not sure who I will give the other to. I bought one box right away and the second when they released the spoilers. I always laugh at the complainers. What did they think they were going to get? 12 days tickets? 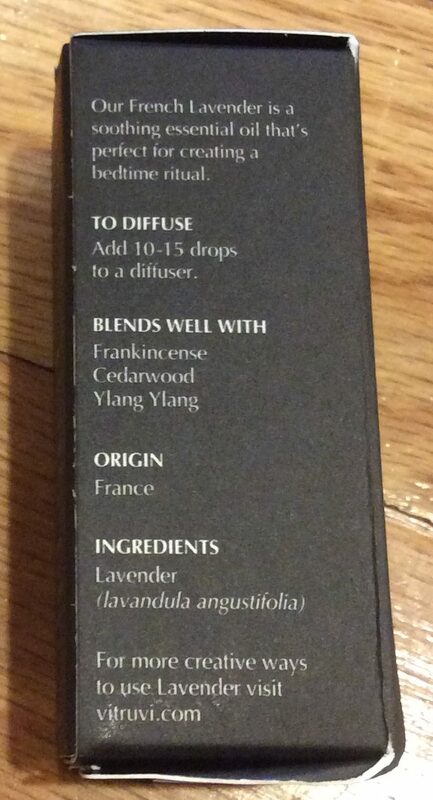 The diffuser is probably one of the few things I will ever own that GOOP suggested. Usually I am like “yeah right” because I have $789 to spend on a “must have” white tee shirt. I was going to say to save the necklace for your daughter when she comes to the age that she would cherish it (either by wearing and/or storing it) kinda like a mother-daughter thing since its pure sterling. Thanks for letting me know about the lavender not being great I don’t feel like I would miss it anymore when it was gifted. I actually like Aura Cacia’s Lavender even though its flowers and stems. My MIL gave me some EO set which had a “study” essential oil which I need to use it for my daughter’s homework thanks for reminding me!